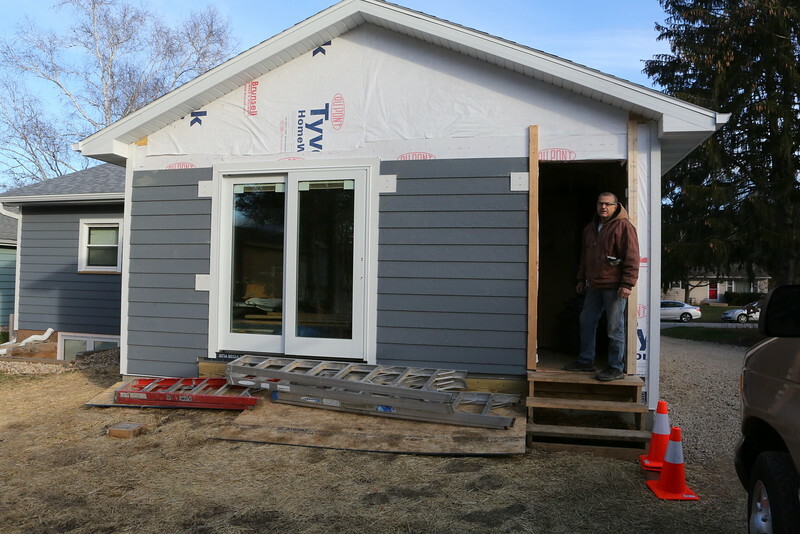 On a bright November 28th, 2015 Saturday morning join the family of Susan, Stuart, Daniel and Anya as the construction team of Myron, Jakob and Seth take on another phase of renovation - this time the family kitchen. On Tuesday, December 1st I revisited 5513 Gettle to capture the preserved vintage 50s chicken themed wallpaper and to document the post-cabinet removal and make-shift kitchen in the basement. On the bright and sunny first day of February I revisited the 5513 Gettle Ave project to capture the progress of the kitchen & back expansion & other improvements since the last visit. Susan is playing the piano while Dan "The Chairman" and Myron move the project toward completion while reminiscing about past projects. On February 15th, 2016 I revisited 5513 Gettle Ave. to capture the changes and some of the final touches inside as Dan "The Chairman", Steve "The Plumber" and the team from Selectric worked to finish the indoor portion of the project. Appliances have been installed and the days of cooking and eating in the basement are nearly over. On May 23rd, 2016, I returned to 5513 Gettle to document the progress on the backyard Garden & Storage Shed & to walk the perimeter as well as taking some fun family portraits.